Rob is not just an agent, He is a Real Estate Consultant! Happily married, Rob & Lynn have 5 children & 3 grand-children. 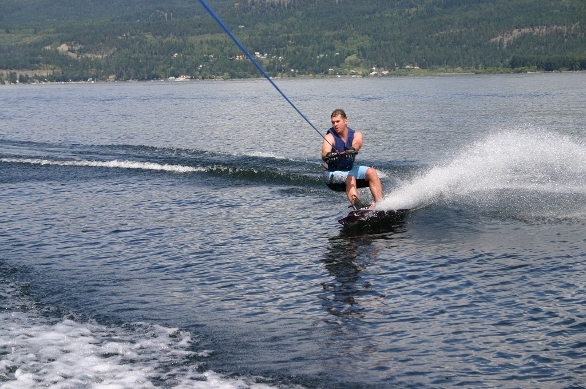 They live, work & play in the Shuswap Lake region. Rob prides himself as being a family man boasting that his family is his true "Resume", he loves to share them with his clients with a great understanding that they are truly his "secret weapon" in his success. Rob prides himself on being a man of his word and his handshake is his bond. When he says he's gonna do something, consider it done! Rob & Lynn have been professionals all their lives, co-owners of the RoLyn Group of Companies with a vast background in real estate development for 25 years. In addition, they have owned over 65 personal properties in their marriage lifetime, with 8 of those properties being Shuswap Waterfront. They are experts in the real estate field & now being on the other side of the fence, selling real estate for a living, they pride themselves on being compassionate about their clients needs. Love For Community...... Leadership in Action! > Evening Club; Meets Tuesday 6PM at the Prestige Inn; Guests Welcome! 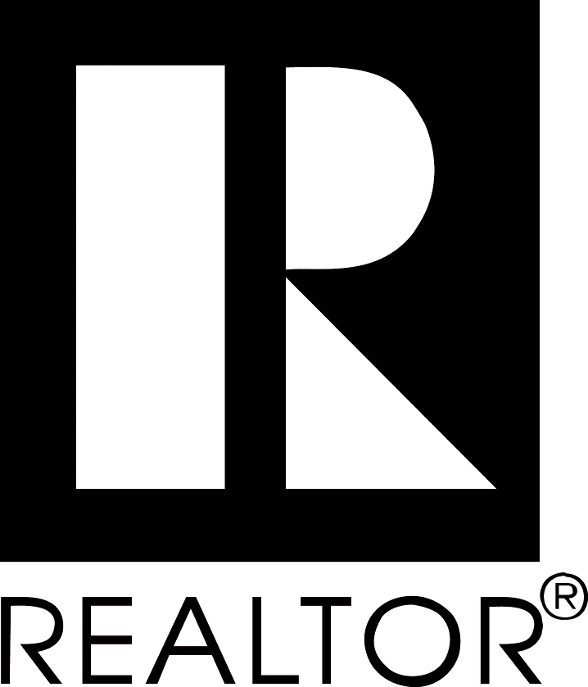 Licensed, Insured & Bonded REALTOR® working with Homelife Realty, Salmon Arm, Shuswap Lake. Rob is a member in good standing with the Canadian Real Estate Association since 2005. Rob is also a co-owner of the Salmon Arm brokerage. Rob has an honours diploma in Construction Engineering & has been involved in professional real estate development for 30 years now building sub-divisions, homes, apartments, condos, etc. He was a designated certified engineer during 1990 to 1998 in Alberta through his membership in A.S.E.T. Rob has received certified approval status from the New Home Warranty Program of insurers as a qualified builders representative. He has been involved in both commercial & residential construction projects of various magnitudes from single family homes to 60 unit apartment buildings. He markets homes for several builders. Rob is a professional graphics designer specializing in sales & marketing with webmaster skills, photoshop creative suite, photography & ad layouts. He has been responsible for the sales & marketing of many large upscale projects involving all aspects including pre-sales, launches, construction phases & completion sales. Rob successfully held the titles of President for the Calgary Construction Association; President for the Calgary General Contractors Association; Chairman of the Alberta Construction Tendering System. Rob is a leader in his industry. Rob has been a top producing agent every year of his real estate career and has enjoyed branching out onto his own with the BIGRob brand. When dealing with Rob, you're dealing with an expert in the field of Real Estate! You're dealing with a Real Estate Consultant. 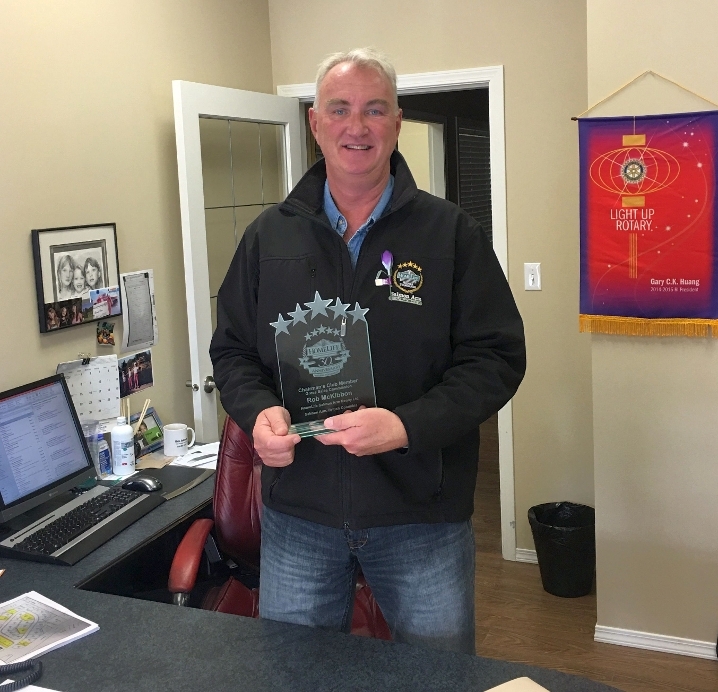 Rob was awarded by the President of Homelife® BC, Mr. Rick Dubord, the Top Sales Certificate of Achievement for Gross Sales Commission in 2013, The Chairman's Club Membership Award. 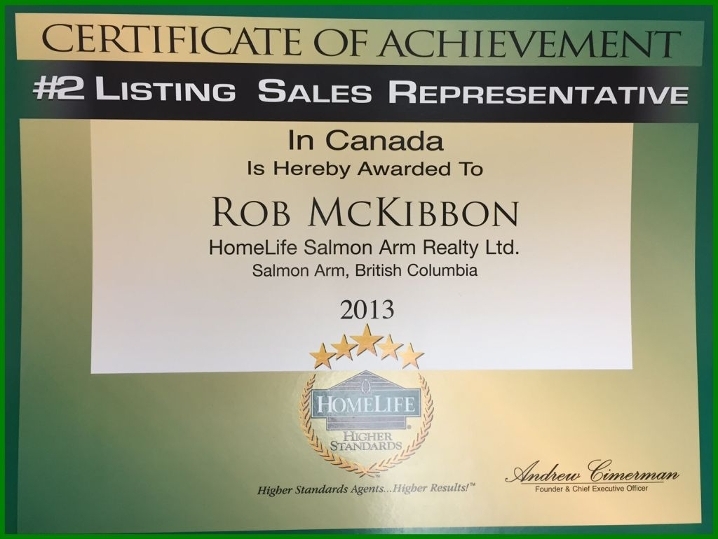 In Addition Rob was awarded the Top 5% Sales Representative in Canada based on Gross Commissions and also the #2 Listing Sales Representative in Canada for 2013. Rob is an expert communicator & negotiator with a diploma in Contract Law. He previously owned & operated a Sales Distribution company that employed over 200 commissioned sales people, most of whom he provided personal training & motivation to, although he is highly self motivated himself, his friends refer to him as "Miles after Midnight McKibbon" because of the hours of work he's put into his marketing career often working late into the next days morning processing paperwork or building websites for marketing. Lynn has worked as a full partner with the RoLyn Group of Companies for close to the past 20 years now, as well as being a mother to 5 children she has assisted in the day to day operations of our companies assisting in all faucets of the adminstration roles of the organizations. She continues to assist Rob as his unlicensed assistant in their real estate business. Together Rob & Lynn run the business entity of BIGRob.ca which now is composed of a team to support the demands of operating 365 days of the year. Our team is pleased to have a full time viewing coordinator, Lisa. Three part time office administrators, Linda, Linda & Katie who maintain the office front desk 6 days/week & handle all the conveyancing paperwork. We also have two buyers agents working with us who are specially trained to show our listings, Aaron Priebe & Colin Blair both greatly assist us in the day to day, 7 days/week operations. Our team works very well together in addition to a high-spirited cooperation amongst our professional peers in the industry! Rob has been involved in the professional sales & marketing industry for most of his adult life, he is an expert in the field & understands his clients personal needs when dealing with a real estate sales person. Just one call to Rob and you'll know you're in good hands! Rob can be flexible towards his clients personal requirements understanding that marketing a property is never exactly the same; each property is unique along with their owners or buyers. Call Rob.... Simply because he WILL work hard for YOU! But also he'll work smart!!! Turning their clients into friends! Lynn grew up and lived in Montreal with 2 brothers her entire childhood and she is fluent in French. She moved to Western Canada after she met Rob. 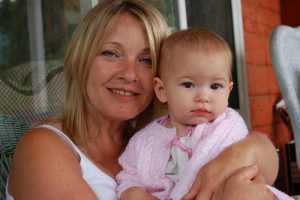 Both Lynns parents now live in nearby Vernon, also relocating from Montreal. Robs mom lives in Kelowna now too and he grew up at the Coast and moved to Vancouver Island in his teens where he graduated high school in Port Alberni. He moved to Edmonton, Alberta to attend NAIT where he received his Construction Engineering Diploma. He quickly rose to the position of Branch Manager with a small commercial construction company that relocated him to Toronto, Eastern Canada, where he met Lynn. They relocated to Calgary, Alberta in 1988 during the winter Olympic construction spree where he was the Branch Manager of a multi-million dollar commercial construction company with offices located in 5 Western major cities. Rob was in his mid-20's and they nicknamed him "kid", but his talent for building multiple large commercial projects was evident. Some 30 years later he has a 100% track record for completing projects on time and on budget! 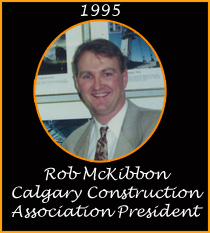 Rob later formed his own commercial construction company with two financial investment partners and was the President of that company for over 15 years serving the area of Southern Alberta. He eventually bought out his partners and became the 100% sole owner completing 100's of millions in commercial development projects. He also served as the President of the Calgary Construction Association and the President of the Alberta General Contractors Association during this time. He bought his first computer in 1987 embracing the technology and has been a student of microsoft systems ever since! Also during this, Rob and Lynn raised 5 children, Lynn was primarily busy with the tasks of running the home and getting everyone where they needed to be on time, at least until they were walking, talking and feeding themselves. They have always made a great team, whether raising the family or attending to business. Lynn's tremendous efforts at home afforded Rob many opportunities within his career. Rob recalls at that time when people would ask him, "Does your wife work?" He would reply, "No, but if she heard me say that she'd punch me! Ha, ha. She's the mother of 5." Lynn worked unselfishly day and night, and with their busy lives she still does. They started to buy investment properties early in their marriage and before reaching the age of 30 they had over 40 rent checks coming in monthly paying down the mortgages of their investments. One thing led to another and they soon found themselves the owners of seven different corporations; most of which were involved in the real estate development side of their affairs. They had a company that managed their revenue properties, they had a company that owned their revenue properties, they had a company that financed properties and provided mortgage services, they had their construction company and their development company. Robs construction company employed over 25 full time employees and completed millions of dollars in construction work each and every month. Rob and Lynn also founded a sales & marketing distribution company that eventually employed close to 200 commissioned sales people throughout Western Canada and was very successful placing them in the top 1% for sales achievements in Western Canada. Lynn took on most of the day to day operations of this business. Obviously by their achievements, Rob and Lynn are driven individuals who love setting large goals and then achieving those goals. 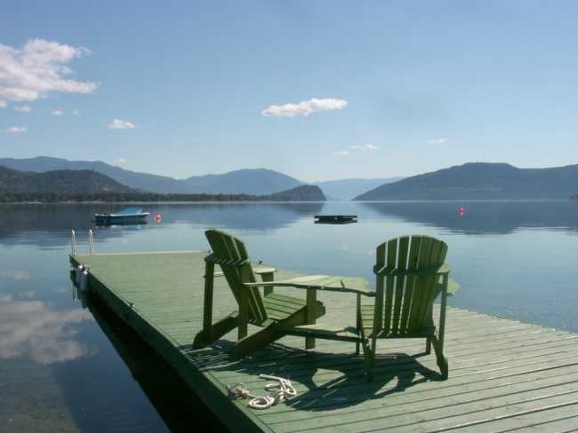 At the age of 35, after visiting the Shuswap Lake for their summer vacation for the ump-teenth time, they asked themselves, "Why are we leaving this beautiful place?" They understood that nothing would ever happen to realize their dream if they didn't set forth an action plan. So at the age of 35 they set a goal to move to the Shuswap area by the age of 40. From that point forward that became their goal. Rob turned 40 in March of 2000 and they purchased their first Salmon Arm home during their Easter vacation visit just one month later. They've never looked back! Rob's great grand-father, Ernie Buckingham lived in the Shuswap in the late 1800's and his grand-mother, May was raised in Blind Bay. She attended school in Celista. Later her sister, Laura and her moved to Magna Bay. (May McKibbon & Laura Goldney) Rob spent all his childhood summers in Magna Bay at his grand-parents waterfront cabin; he calls it the "Spirit of the Shuswap" but the fantastic memories of this beautiful area were too powerful to resist and he is very, very proud to call this home and now raise his own children here too. Both Rob and Lynn love living here and they feel that appreciation everyday, at every opportunity. Following his extensive career in real estate development in Southern Alberta, Rob understands sales and marketing like no other. He often quotes, "Show me a developer that doesn't know how to do Sales & Marketing, and I'll show you a developer who's going broke." Rob specialized in sales work and eventually became a graphics designer to assist his sales teams. He went on to learn how to build websites and mastered the email programs that could save him time and money tracking potential clients. To this very date he is still enrolled in classes continuing his education. Things like facebook® reaching over 100 Million people in just 9 months intrigue him very much. Rob has goals of putting the real estate business in touch with Web2.0 technology, that is if he can keep up with it all? He is always asking our youth questions about how they communicate and find information. His own kids all own cell phones, but none of them make many calls? They text each other and stay in touch on facebook®. There will be a new wave in communications when these "kids" take control.... Rob plans to match his experience with their youthful methods and he's certain there is soon to be a window of opportunity to better serve his clients needs. Becoming a REALTOR® was a perfect match for Rob. He is now focused on giving back to this industry, much like he did for the construction industry in Alberta. He strives to be a leader by example and continues to build cooperative working relationships throughout the industry. Now reaching his 56th birthday, Rob is much more relaxed, and he completes his work with confidence and ease, providing his clients with the very best service that he can deliver. He believes in earning his commission and backs his work with a written guarantee for client satisfaction. Rob is now working as a FULL TIME REALTOR® and enjoys bringing buyers and sellers together to make a deal. His priority is your satisfaction and it shows through in his work, his family and his friendships. He cares about his clients, and more often than not, his clients become his friends! Success to Rob and Lynn is that they now live, work and play at the Shuswap and they love nothing more than sharing that passion with others. Give Rob a call, YOU'll be glad YOU Did! Together they run the RoLyn Group, Now specializing in marketing Shuswap Waterfront Properties! 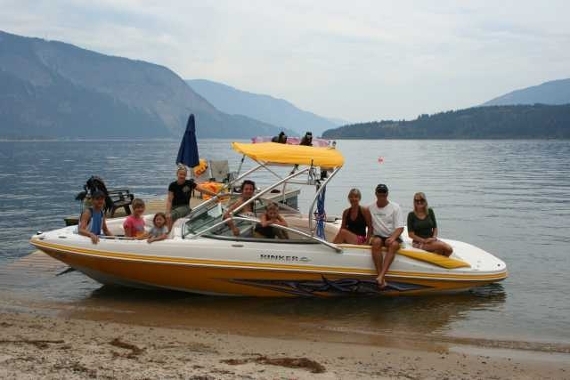 Rob & his family enjoy a waterfront lifestyle at their summer home on Shuswap Lake. the entire family water-skis & swims. They enjoy boating, Kayaking, Canoeing, Swimming, Hiking, Biking & 4x4ing. 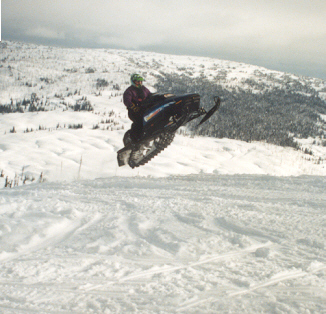 Rob is an avid snow mobiler enjoying a Dragon 900 & Artic Cat M8 he takes the time to get out sledding with his family, friends and sometimes clients; from trail riding to extreme mountain excursions, winter exploring is fun & the Shuswap offers excellent snow mobiling right in our backyards! The entire family down hill snow skis as well & they enjoyed a mountain side condo at Silver Star Mountain in nearby Vernon for many years maximizing some excellent high quality family time! Rob is an avid reader; He loves to read & study learning new things and taking on new challenges. He has a strong reading "habit" that he incorporated into his lifestyle over 25 years ago. Rob has belonged to a car club for the past 10 years and enjoys the social aspects of ownership. Rob & Lynn enjoy being Exchange Student hosts each year. Lynn and some of her girls are artistic in nature enjoying painting, knitting, cross stitching and crafts. 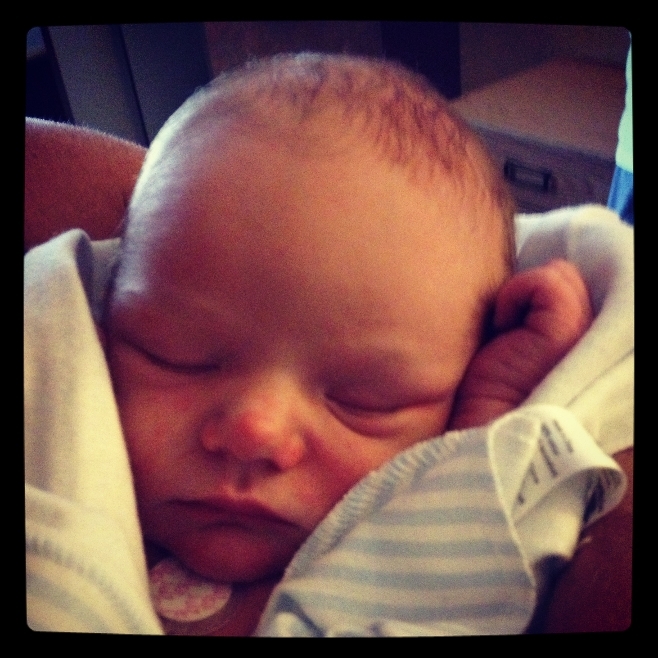 Of course Rob & Lynn love being grand-parents and with 5 kids there's gonna be alot more of that! 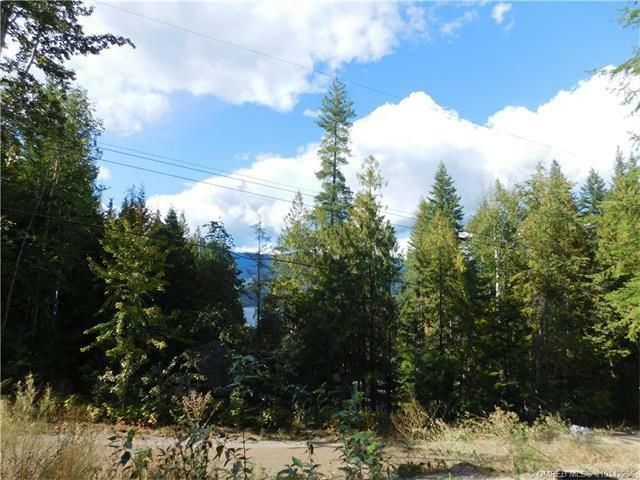 Call Rob, he's your Shuswap Waterfront Specialist!